MOTHER EARTH NEWS has added me as one of their bloggers. 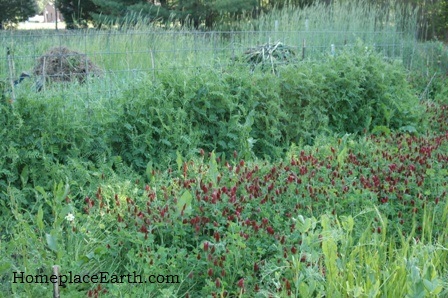 Since March (sorry for the delay in telling you) each time I post my regular blog, a version of it will appear on their website under the Permaculture banner for blogs. You can find it at www.motherearthnews.com/permaculture. 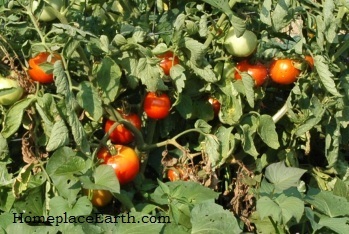 I’m not their only permaculture blogger, so you will find other posts there in addition to mine. My posts on MOTHER EARTH NEWS are not quite as long and a little less technical. They will contain some of the same information, but will always have something not in the regular post, such as another story or angle on the subject. My posts publish here every two weeks on a Tuesday at 6am. Sometime later that same day the MOTHER EARTH NEWS version will appear on their website. You might want to take a look at whatever additional insight I put there. Thank you to the readers who have come here as a result of finding me there. Growing our own food to truly feed ourselves is an exciting undertaking. Together we can make a difference! I’ve been thinking lately of how someone would get started in vegetable gardening these days. In many ways it is a lot different than when I got started so many years ago, and in other ways, not so much. 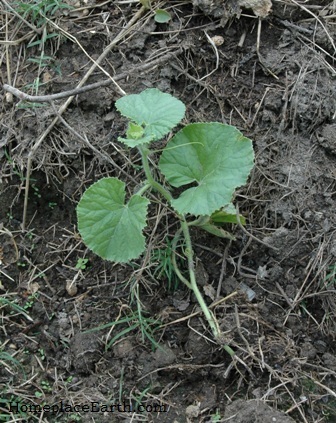 You are still just putting seeds in the ground and watching them grow, hoping to harvest a bounty later in the summer. When I started I had no knowledge of frost dates, days to maturity, garden maps, etc. We had moved out of our one-bedroom apartment and into a rental house with a backyard about a mile from the Ohio State University campus. I dug up the garden space in the area, where neighbors told me later, a garage had been. We bought seeds off a rack in the store and tomato and pepper plants from somewhere that I don’t remember. I do remember the peas we planted. We didn’t know they would get so tall, and when they started growing wildly everywhere, our neighbor suggested we put up a string trellis. With sticks and strings, we got those peas off the ground, just in time for them to stop growing. Who knew they stopped growing as we got into summer? Not us! 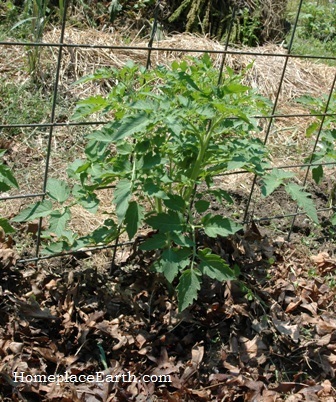 Another thing I remember is that the tomatoes were planted too close, or so I was told. In our neighborhood the residents were either twenty-somethings, or retired homeowners who had lived there for decades. Our next door neighbor was wonderful. Across the street was a woman who was rather a busy-body. My garden gave those retired women something to talk about. The busy-body would come over to my neighbor’s, look over the picket fence, and pass judgment, which I would learn of later from the neighbor. 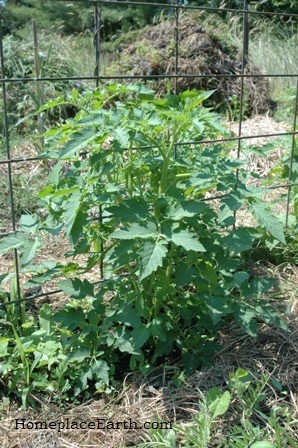 That’s how I learned the tomatoes were planted too close. Another memory is standing in the garden one evening with my husband and other neighbors (twenty-somethings) across the alley. We were all looking at the green beans which, as I now know, were ready to harvest. Our friends asked when it would be time to pick them and we weren’t exactly sure. Everything was picked a little on the late side, as we watched it grow past its prime. I grew some great carrots that first year. I was just realizing that it was time to start pulling them for the table when there was a frost warning. Thinking I had to get them all out of the ground before the frost, I pulled them all and gave many away to friends. I now know that I can leave carrots in the ground all winter, with some leaves thrown over for a cover, and harvest at my leisure. We’re talking 1974 here. No internet service or home computers. Making a long-distance telephone call was a big deal. We had a small black-and-white TV and a stereo that played vinyl. My education in organic gardening began with reading Organic Gardening magazine at the local food coop when I visited. It was a couple years before I felt we could afford to actually buy a subscription, which I did in early 1977. Robert Rodale, may he rest in peace, did a wonderful service to humanity through Organic Gardening and Rodale Press. With his magazine and the books that Rodale Press published, he educated so many, many people. In fact, he’s probably not resting on The Other Side, but continuing his mission of guiding people in ways to feed the population of this planet without destroying it. Mother Earth News was also important in our lives. John Jeavons was just beginning to develop what became GROW BIOINTENSIVE® at Ecology Action in California. That was about it for the resources that were out there for organic gardeners and homesteaders. Fast forward to 2012 and you get instant information overload. A person can become paralyzed with too much information. You don’t need to read everyone’s opinion about something on the web or see all their garden pictures before you put in your own garden. You can just dig up a spot and get started like I did. If you need help, find a resource to focus on to get started, and go from there. I hope that my videos and blog provide that focal point for many. I can be the helpful neighbor across the fence, hopefully not the busybody one. The learning is in the doing. You will soon have some experiences of your own to share. Growing your own food is the thing to do these days and you should be able to find a local group with similar interests. If not, start one. The book I found most helpful when I was first learning is How To Grow Vegetables & Fruits by the Organic Method. It is still a favorite of mine to turn to when I have a question about a crop. 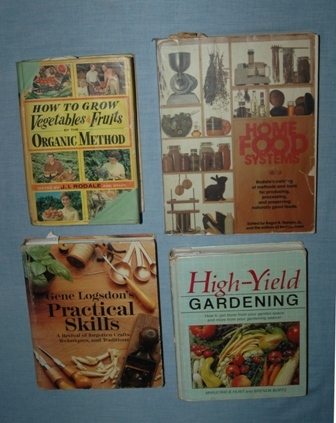 Other helpful books have been Home Food Systems, Gene Logsdon’s Practical Skills, and High-Yield Gardening, all out of print by now. In 1989 Chelsea Green came on the scene when it published New Organic Grower by Eliot Coleman. That book was helpful to me when I became a market gardener in 1992. With the new century came an explosion of books and magazines on organic gardening, sustainable living, urban agriculture, etc. They are easy to find with an internet search or by browsing in your nearest bookstore. 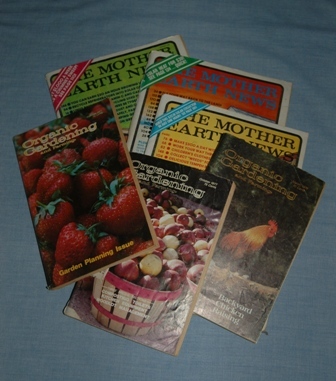 In preparation for this blog, I took a look at some of my old Organic Gardening and Mother Earth News magazines. I believe they could be re-published just as they are and be relevant today. In fact, Mother Earth News has all its old issues available on a CD and many articles accessible through its website. I began teaching at J. Sargeant Reynolds Community College in 1999 because I had identified a need. Those classes continue with our daughter, Betsy Trice. 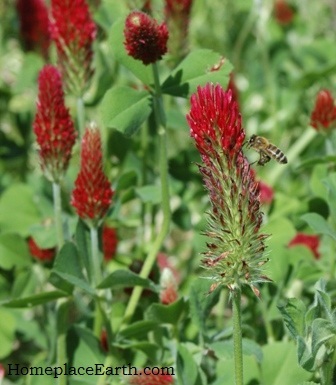 Her next class, Organic Gardening Resources, begins May 24 and involves a lot of hands-on. Students will dig garlic, onions, and potatoes and evaluate the yield. 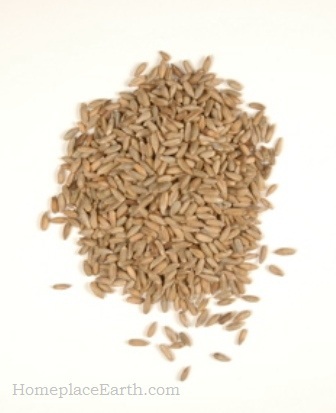 They will cut rye and wheat, thresh out the grain, and make compost. For those who can’t take a class, she has started the business of Lightfoot Gardening Coach for people in the Richmond-to-Charlottesville (Virginia) area who may want someone at their side to guide them. She lives between the two cities. She can help people get started with vegetable gardening, backyard chickens, and other homesteading endeavors. Betsy and I are joining together to give a presentation at Ashland Coffee and Tea in Ashland, VA on Tuesday, May 29 at 7:30pm. I will lead a Wheat Workshop at New Earth Farm in Virginia Beach, VA on Saturday, June 2. For those out of our area, if you check around, you may find learning opportunities near you. Some of you out there just might be the ones to offer such programs. You could start by giving a talk at your local library. Sponsoring a public showing of my videos is a good way to attract like-minded folks. You don’t need any special permission from me or pay any additional fee to do that. You can make hard-copies of the worksheets from the CD to use with participants/students in your own teaching, all with proper credit to Homeplace Earth, of course. What you do not have permission to do is to make copies of the DVDs and CDs themselves. Bloom where you are planted. The time to start is now and the place to start is wherever you are. Best wishes in your endeavors!